Whether you know it or not, blogging is known as one of the best method to earn money online. There are many bloggers making huge money online from Blogging. Generally there are two forms of blogs, Free and Self-hosted blog (paid one) where you need to pay some money. Both of the platforms are having their own pros and cons. Blogs created using free platforms won’t have full access whereas in self-hosted blogs you need to spend money for domain name and hosting services to run your blog and you will have complete control and access over your website. 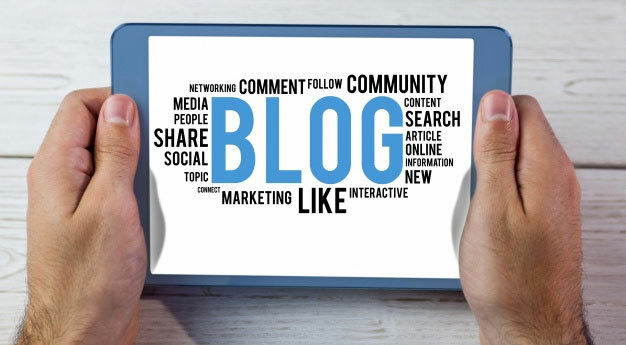 Although we do not suggest bloggers to opt for free blogging platform, some of these free blogging solutions are really helpful and extremely useful for the bloggers don’t want to spend money. Here on this page we are going to share the list of free blogging platforms for the bloggers who want to start a free blog. Blogger.com a product of Google (A Well-known Search Engine) is one of the best and widely known blogging platform. The user interface and tool available on this platforms are very easy to use and it’s preferred by many webmasters. Blogger is a free to use service. It is very easy to use platform and not required any technical skills. You will have access to limited blogging tool and there is no option to add extra features as your blog grows. Less designing options are available because only few templates are available. Your blog can be suspended or canceled anytime by Google without any notification or warning. WordPress.com is another well-known platform where you can easily host and run your blog/website using WordPress blogging platform. WordPress blogging platform is supported by many hosting providers worldwide, therefore, will not be much difficulty if you want to move your blog from WordPress.com to any hosting service provider. With WordPress.com you can have access to basic hosting service for free of cost. If you want you can buy additional options such as custom domain name, extra web space. No setup & Installation Needed. Very Limited possibilities to extend your blog. If you violate the the term of service WordPress.com can suspend your blog anytime. Medium is another fastest growing free platform available for blogging that allows bloggers, webmasters to create stories, share, information, ideas, personal experiences on the web. You can easily create your account with the help of email or twitter account and share the contents. Wix is one of the well-know and best free blogging platform that you can use to create a beautiful blog. Also, to create a beautiful blog or website, you do not need to have coding knowledge and skills. It gives an easiest option for individuals and small businesses to create a website or blog using drag and drop site building tools. You have the option to customize your blog using dozens of free templates and applications available. You can easily build your site with easy drag and drop tools without coding skills. Easy setup and installation process. Free platform is limited and Wix ads will be displayed on your blog. Limited access to free apps and applications. Once you have selected a template there is not option to change it. Limited availability of ecommerce features. Tumblr is a well-known micro blogging platform. It is one of the fastest and rapidly growing websites available on the web and it is seems to be a mixture of blogger.com, Facebook and Twitter. You can share images, videos, text etc. on tumblr. Since it is a microblogging platform, It makes it very easy to share video, text, audio formats on your blog. It comes with limited set of features and you cannot extend it as your blog/website grows. Plenty of themes available but comes with limited features. It is very difficult to backup or import a Tumblr based blog. What is the Powerful Web Hosting for your Growing Business? Why server speed important for your website ? Copyright 2014 The HostingRaja Blog. All Rights Reserved.